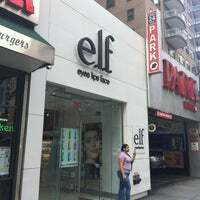 Elf Cosmetics is indeed the best cosmetics shop in New York area. I shopped there only once. To provide their customer with best product is their goal in business. 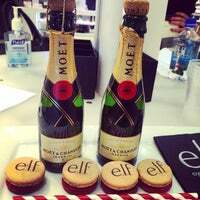 Welcome to e.l.f. Cosmetics HQ! "It smells so good in here, and I love the seaweed face mask! (although the texture is a little icky feeling)"
"Best cosmetics, hair and skin products ever, and also they always give away samples..plus you get points and those points are turn into cash everytime! :-)"